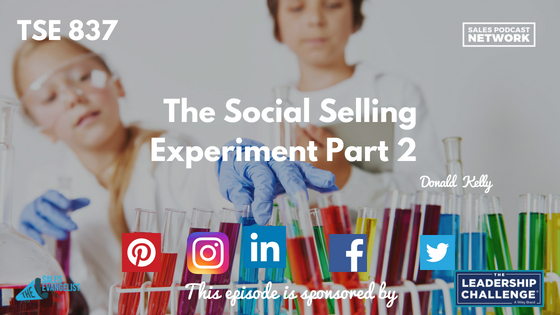 Here at The Sales Evangelist, we’re in the middle of a social selling experiment to determine how effective social selling is when it’s part of your everyday sales cadence. I’ve selected a total of 80 companies that I’ve never had relationships with. I’ll use a traditional cadence of mail, email, and phone calls to build relationships with 40 of them. For the other 40, I’ll also incorporate social selling with the traditional cadence to measure whether it improves my results. 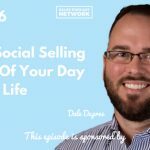 I chose to work in an industry I’ve never worked with before so I wouldn’t taint the results of the social selling experiment. In the case of both groups, I started by building a list of prospects to work from. For the traditional list, I started with Salesgenie, a lead-generation tool. It provides targeted sales leads by industry, with numerous mechanisms to help you filter your list. I found the code for the industry I wanted to target, and used that to generate initial results. From there, I had the option to create lists of businesses or individuals. I also had the option to specify geographic information, company size, revenue, and other criteria. The list I created was about 70 percent accurate. My very first step was to send something in the mail to each of my prospects in an effort to capture their attention and provide awareness about me. For the social side of the experiment, I first researched platforms to find out which ones were the most powerful, and LinkedIn was the clear winner. Iinitiated a search on a basic LinkedIn account (not premium) without the help of any additional plugins. I searched for the job title I wanted to target, and I searched for the industry. My goal was to find facilities whose COO or director I could connect with. Once I had some results, I narrowed them by region, limiting them to primarily the southeast and Alaska. In the case of this group, I sent them something in the mail, and I reached out to them on LinkedIn. If I discover that one of my prospects is connected to an existing LinkedIn contact, I’m taking advantage of that to build relationships. As I progress through my cadence, I’ll continue to provide details about my message and my strategies. We’re conducting this experiment so you don’t have to. 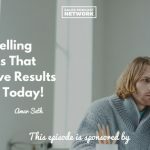 We’re sharing this information to help you be successful, find more ideal customers, build more value, close more deals, and do big things every day. I used the free version of Leadgibbon, a plugin that extracts public information for the people you’re trying to reach. It can also pull email addresses, phone numbers, and basic information about a company. That information can then be exported into a Google spreadsheet and used with your sales cadence. We didn’t use LinkedIn’s Sales Navigator for purposes of the experiment, but it’s a great tool to help sales professionals tap into the platform’s network. There’s a reason I continue suggesting the book, Stop Selling & Start Leading: How to Make Extraordinary Sales Happen from our sponsors at Wiley. I continue because buyers hate it when sellers disappear as soon as the deal is done. You don’t have to be directly involved. You can simply lead the process by making sure that the customer is getting everything he needs. This book is a fantastic blueprint of all the things buyers say they expect from sellers and want from sellers. Get your excerpt here. Leave us a review wherever you consume this content. Share it with someone else who might benefit from our message. Also, if you haven’t already done so, subscribe to the podcast so you won’t miss a single episode.